King City EXPO has a new name and address. 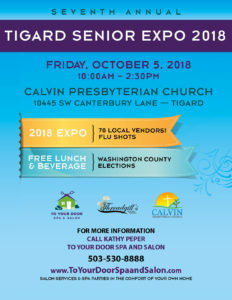 It is now Tigard Senior EXPO, it will be held at Calvin Presbyterian Church, one mile from the King City Club House. 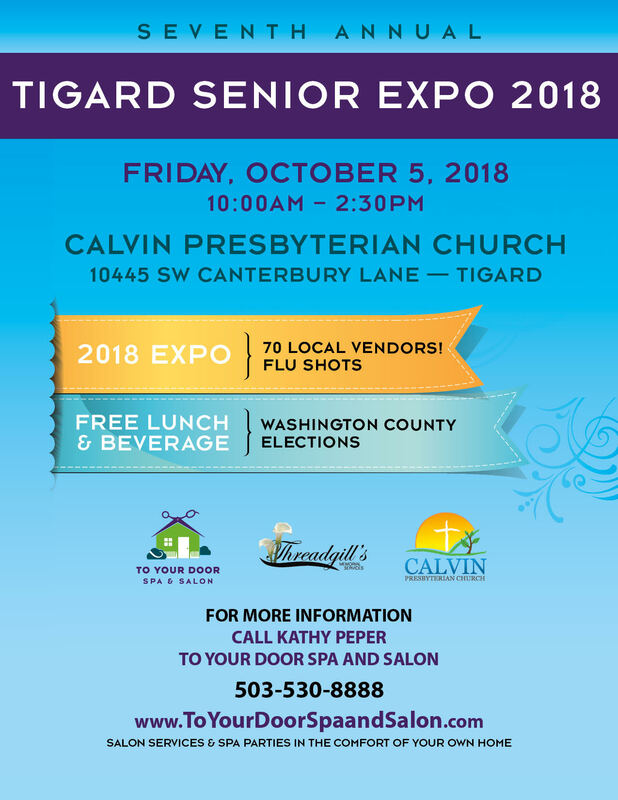 There are 7 senior communities that will be offering a free lunch to the attendees, plenty of parking, and a great space to hold this event. The church has a congregation of 300 and Summerfield and King City are1 mile away. Sign up today! Let’s make this the best event yet.